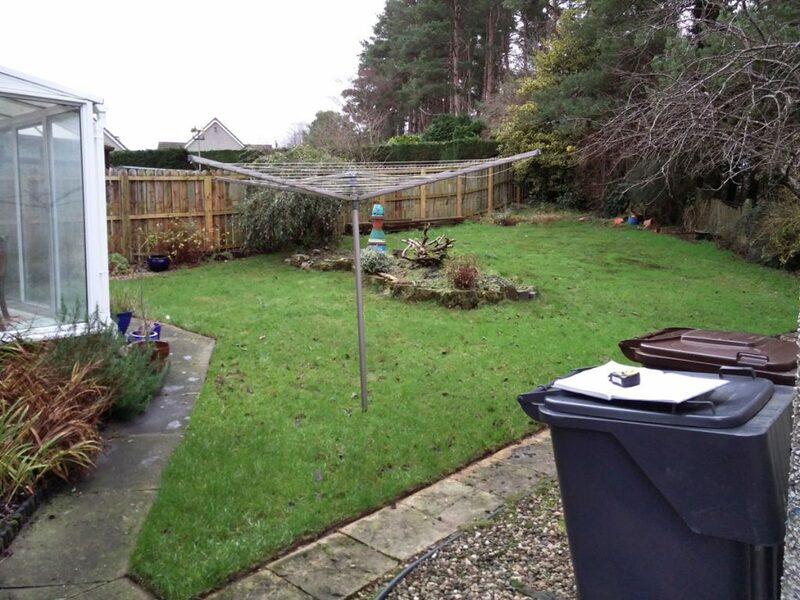 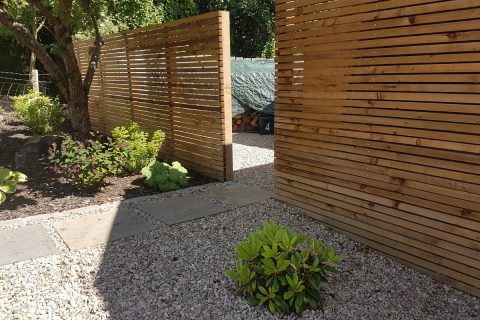 Our clients had a sloping garden that they rarely used and didn’t know how to tackle it. 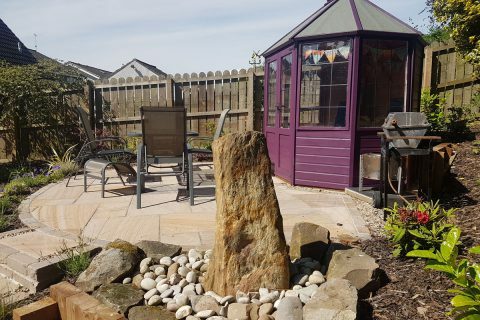 We transformed it into a garden that they now use all the time. 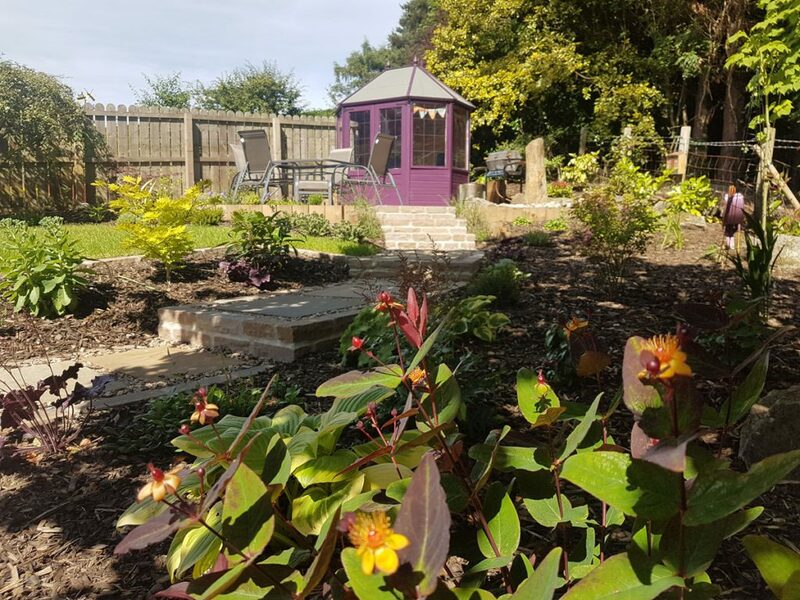 "The garden is beautiful – even better than i imagined it would be. 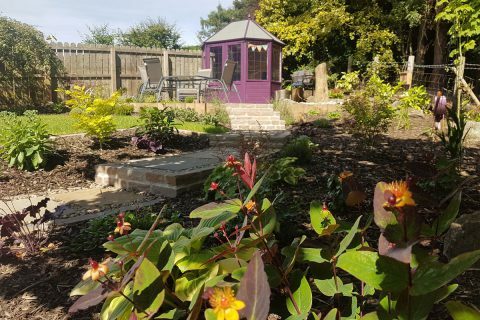 Thank you so much for the design and build. 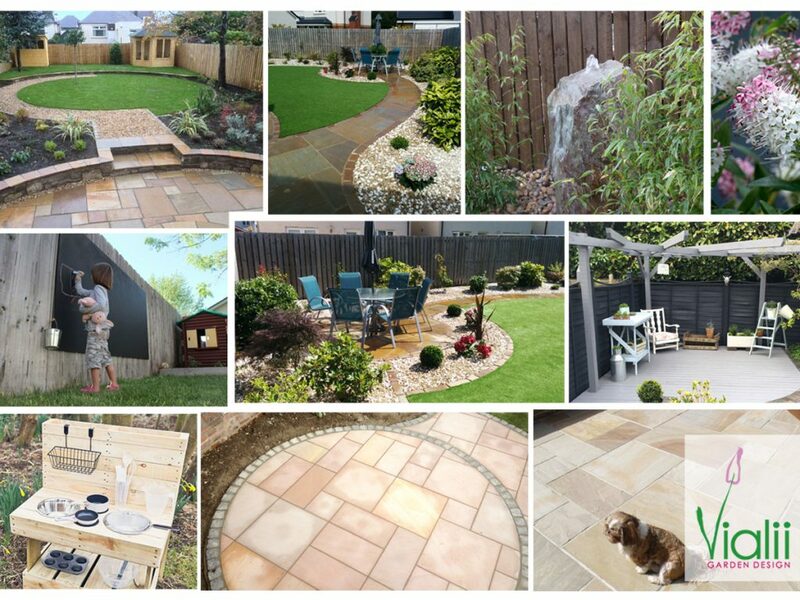 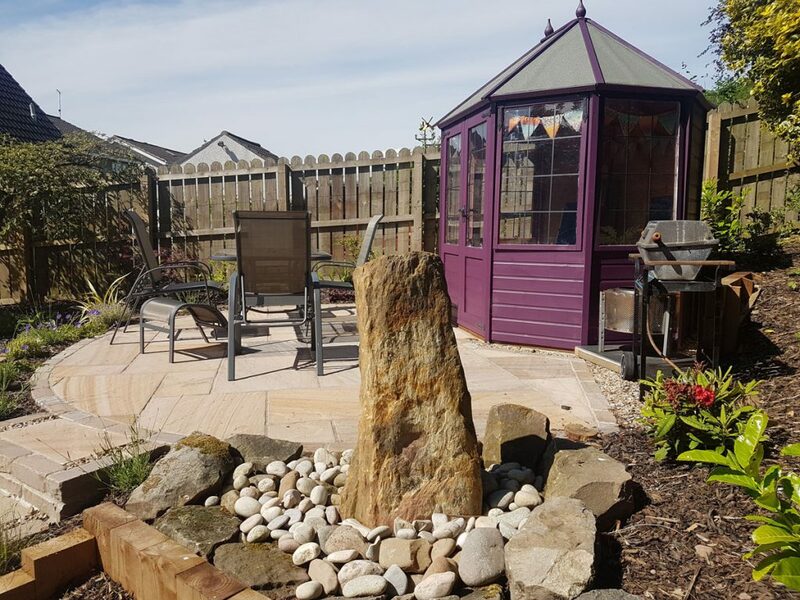 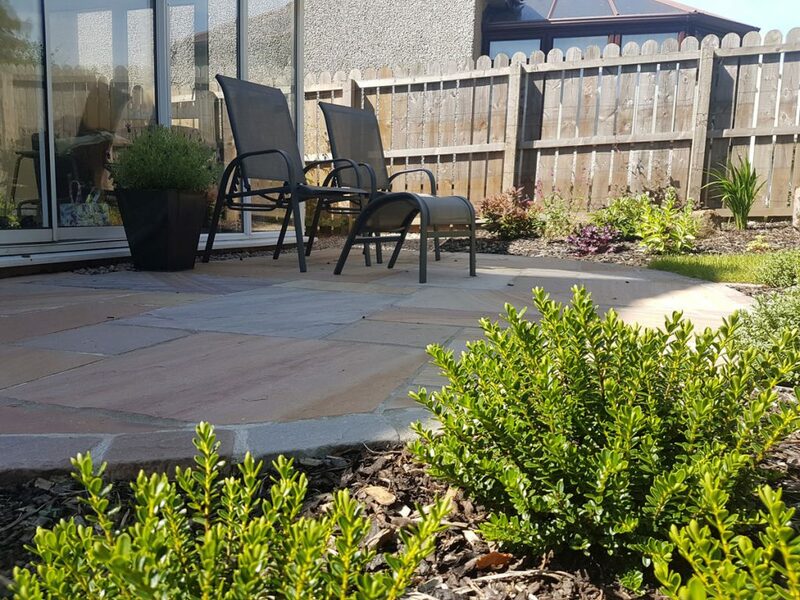 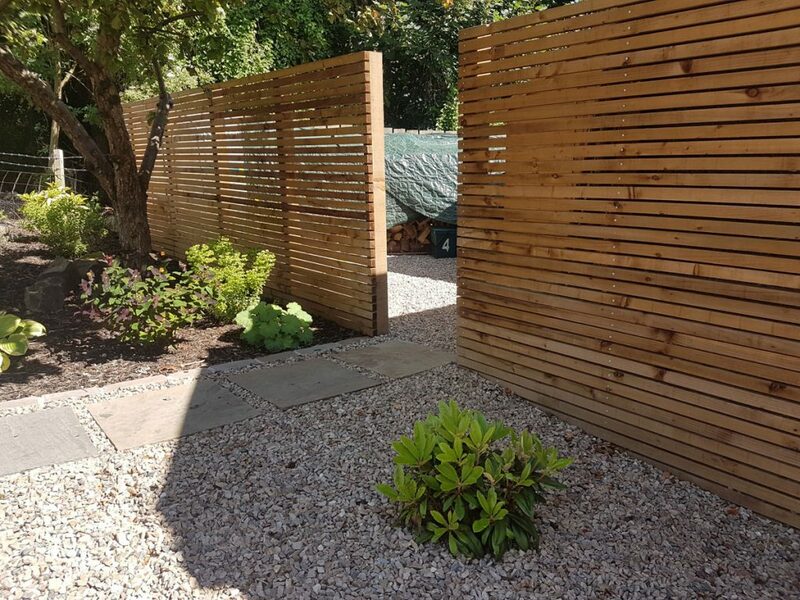 I’m not sure which bit i love best – the garage wall, the water feature, the path, the patios, the plants…Please also send a huge thank you to the team – they were a pleasure to have around and always worked so diligently." 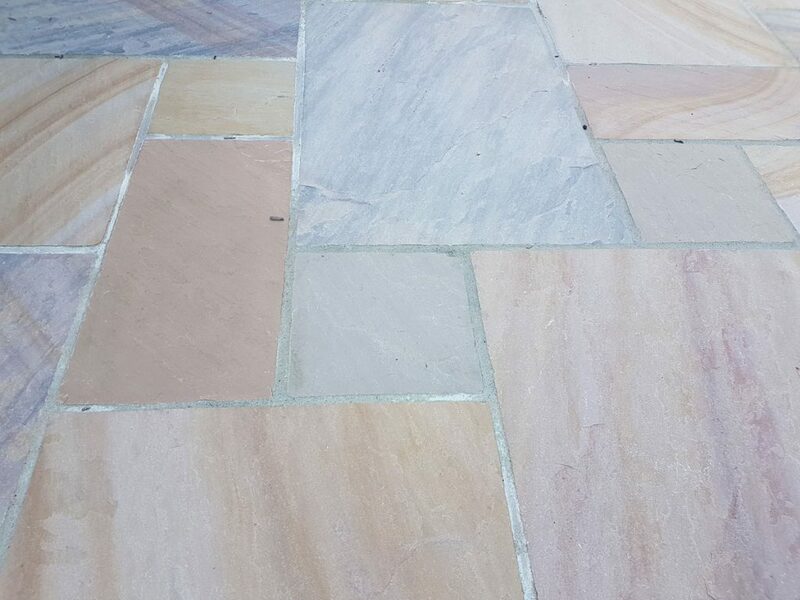 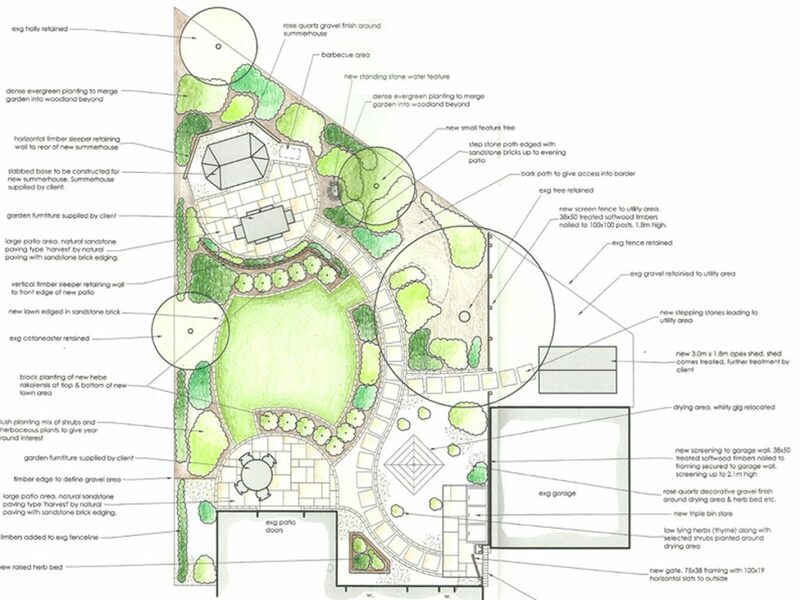 The main structure of the garden was created using sandstone paths, steps and patios. 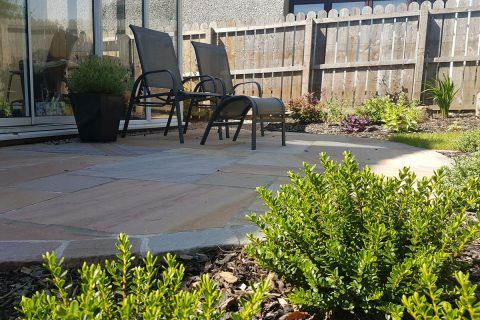 A small, morning patio was created outside the conservatory. 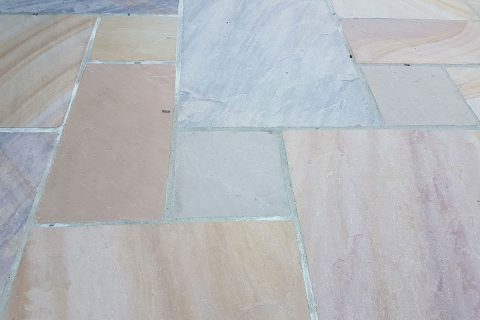 A curing path leads you up to the main dining patio. 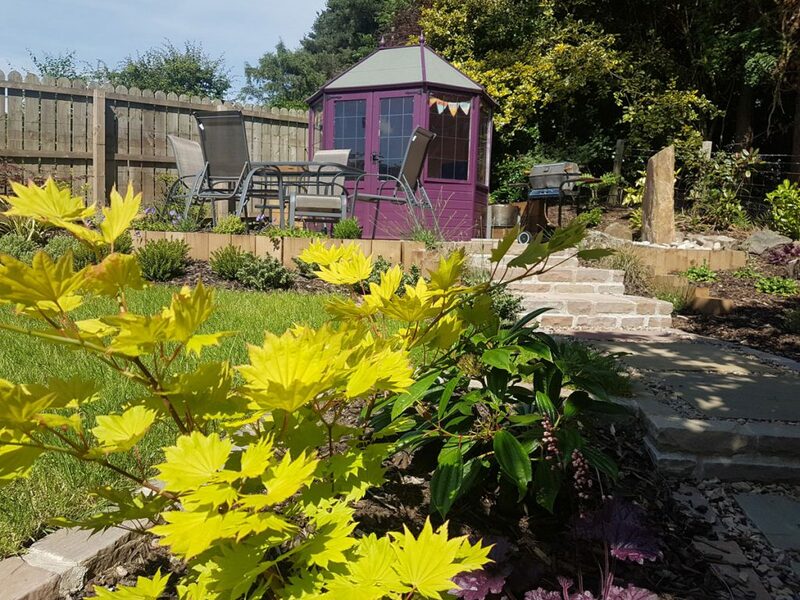 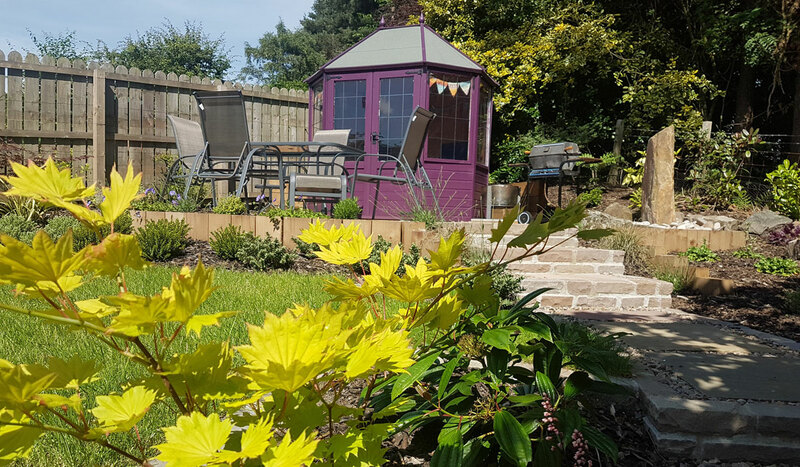 The clients’ “Beetroot Box”, a pretty summerhouse, has prime position at the top of the garden, providing a sunny spot to relax. 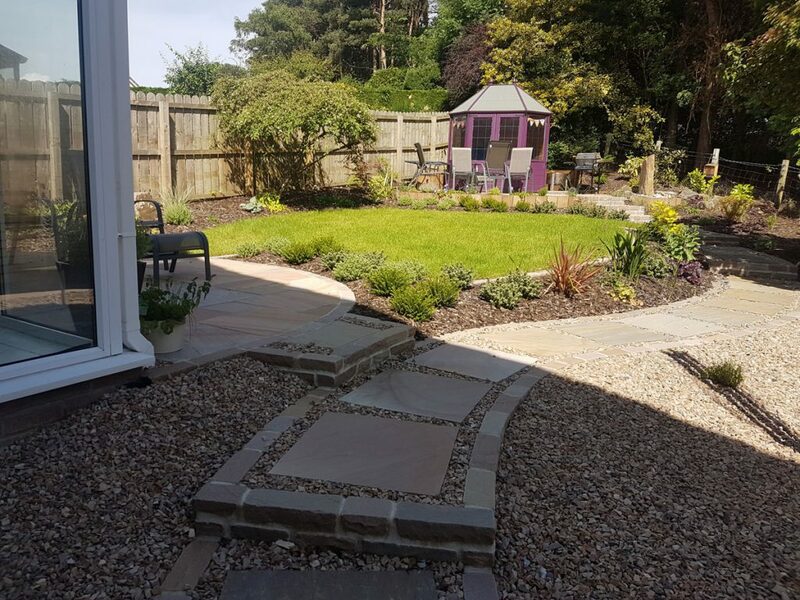 A bespoke, natural stone water feature is a lovely focal point at the top of the garden and a new lawn was laid. 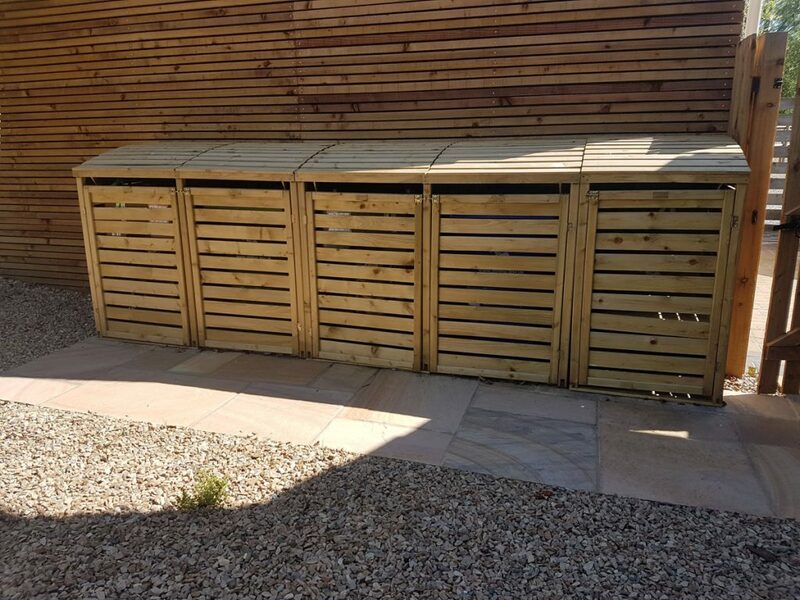 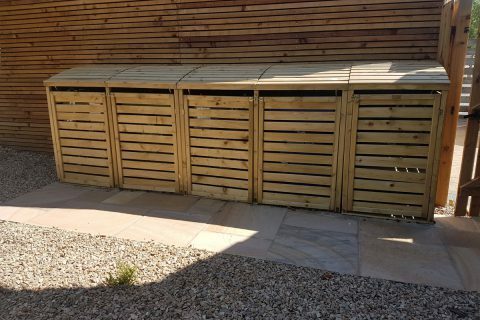 Horizontal timbers screen the garage and the utility areas and bin stores keep this area looking attractive. 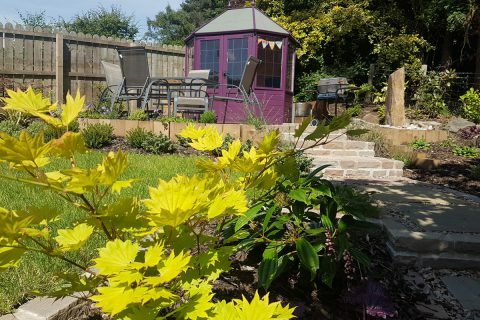 Plants include Clematis alpina ‘Rosy Pagoda’, Crocosmia ‘Carmin Brilliant’, Echinacea ‘Summer Cocktail’, Euonymus alatus ‘Compactus’, Hydrangea paniculata ‘Grandiflora’ as well as a range of hebes framing both the patios.